“A big, sprawling saga of a novel” (San Francisco Chronicle), this epic family drama is a masterwork by the revered author of The Great Santini. 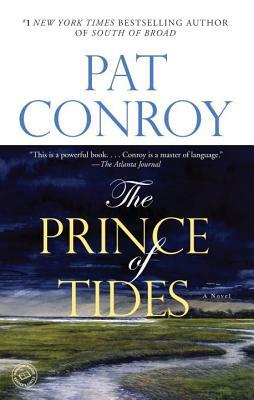 Pat Conroy’s classic novel stings with honesty and resounds with drama. Spanning forty years, it’s the story of turbulent Tom Wingo, his gifted and troubled twin sister, Savannah, and their struggle to triumph over the dark and tragic legacy of the extraordinary family into which they were born. Filled with the vanishing beauty of the South Carolina Low Country as well as the dusty glitter of New York City, The Prince of Tides showcases an American original at his very best.